d. Dec. 5, 1949. Chicago, IL, USA. 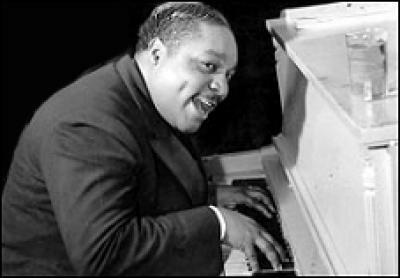 Biography Albert Ammons was one of the big three of late-'30s boogie-woogie along with Pete Johnson and Meade Lux Lewis. Arguably the most powerful of the three, Ammons was also flexible enough to play swing music. Ammons played in Chicago clubs from the 1920s on, although he also worked as a cab driver for a time. Starting in 1934, he led his own band in Chicago, and he made his first records in 1936. In 1938, Ammons appeared at Carnegie Hall with Pete Johnson and Meade Lux Lewis, an event that really helped launch the boogie-woogie craze. Ammons recorded with the other pianists in duets and trios, fit right in with the Port of Harlem Jazzmen on their Blue Note session, appeared regularly at Cafe Society, recorded as a sideman with Sippie Wallace in the 1940s, and he even cut a session with his son, the great tenorman Gene Ammons. Albert Ammons worked steadily throughout the 1940s, playing at President Harry Truman's inauguration in 1949; he died later that year. Many of his recordings are currently available on CD. d. Oct. 29, 1981, Inglewood, CA, USA. Bardu was the REAL discoverer of Ella Fitzgerald, - and he had to convince his leader Chick Webb to take her on as the band's vocalist. (Later, Chick and his wife adopted Ella.) He fronted the band 1935-'39, and in later years became comedian Redd Foxx's manager. b: Sept 23, 1889, Langford SD. Don Bestor was one of the grand veteran bandleaders fronting one of the hottest swing bands of the 1920's, -The Benson Orchestra of Chicago. 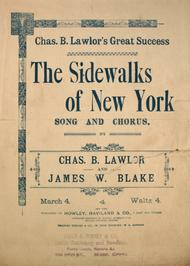 After learning piano at the age of sixteen, he toured the vaudeville circuit. He formed an early dance band in 1921 before working with the Benson band. By the mid 1920's he took over as leader and signed the band with Victor Records. Among the Benson recordings under Bestor's direction were, "Copenhagen," and "In A Covered Wagon With You." 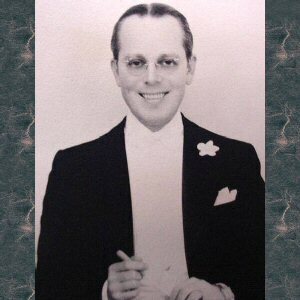 He resumed his own band by 1933 and recorded with Brunswick throughout much of the 1930's. The band had such success on record that he was often asked to perform on radio. His radio career was relatively short, but extremely significant. The Don Bestor Orchestra was featured on the Walter O'Keefe Show while at the same time working for the brand new program staring a comedian named Jack Benny. The Benny program began in 1934 and soon became a national craze. Bestor was often asked by Benny to, "Play, Don, Play!" By the late 1930's his fame had waned, however, he continued to tour the band until 1943. Besides his role on the Benny show, the band is remembered for a few important recordings, including, "Animal Crackers In My Soup" from the Shirley Temple movie Curly Top in 1935 and the number one hit song in March 1933, "Forty-Second Street." 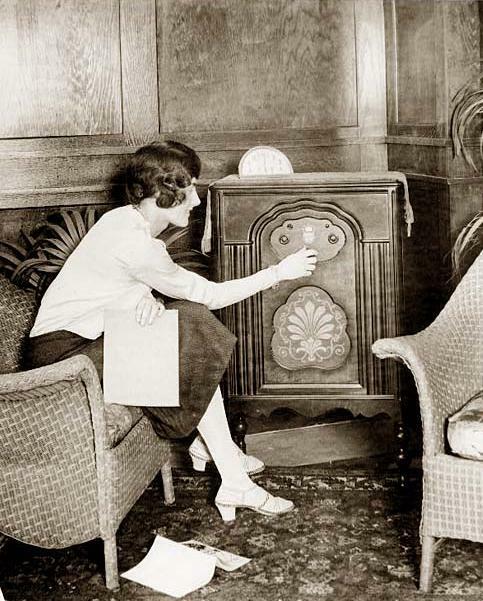 (Trivia: It was Bestor who wrote the commercial for the Jack Benny Show when it was sponsored by, "J-E-L-L-O.") ~Above notes courtesy of Mr. Dan Del Fiorentino. d. Nov. 26, 1958, Cincinnati, OH, USA. Tiny Bradshaw really had a two-part career, in the 1930s in swing and from the mid-'40s on as a best-selling R&B artist. He majored in psychology at Wilberforce University but chose music as his career. Bradshaw sang early on with Horace Henderson's Orchestra (in addition to playing drums), Marion Hardy's Alabamians, the Savoy Bearcats, the Mills Blue Rhythm Band, and Luis Russell. In 1934, he put together his own orchestra and they recorded eight spirited numbers for Decca later that year. A decade of struggle lie ahead and, when Bradshaw's big band recorded again, in 1944, the music was more R&B and jump-oriented. The majority of Bradshaw's recordings were cut during 1950-1954, although there would be one session apiece made in 1955 and 1958. All of his post-1947 output was made for King including the seminal "Train Kept A-Rollin'" in 1951. 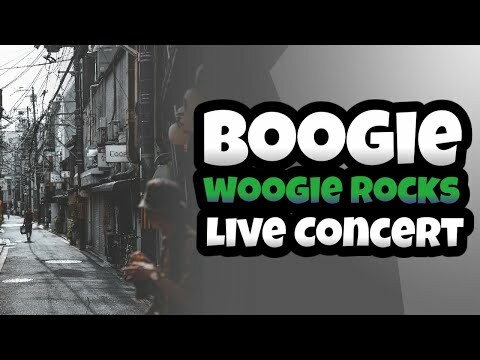 For several decades, that song became a staple of numerous garage bands along with notable recorded versions by the Yardbirds in the '60s and Aerosmith in the '70s. In 1954, Bradshaw suffered the first of two strokes, the second would be two years later. He spent the next few years recovering in a Florida hospital. In the meantime, King tried to keep his name from disapearring altogether by releasing a single made up of previous sessions. By early 1958, Bradshaw slowly returned to touring and leading his band. A final single was released by King, "Bushes" backed with "Short Shorts," which failed to gain any interest. Essentially Tiny Bradshaw's career was over. The record-buying public, led by teenagers, had already discovered Little Richard, Chuck Berry, and Elvis. While trying to make the transistion to the rock & roll market, Bradshaw passed away of a third stroke on November 26, 1958, at his home in Cincinatti. He was 53 years old. Bradshaw is remembered not only as a fine jump blues shouter, but a bandleader who employed some of the greatest jazz players as sidemen along the way including Shad Collins, Russell Procope, and Happy Caldwell (all in 1934); Sonny Stitt (who recorded with Bradshaw in 1944); Big Nick Nicholas; Red Prysock; Bill Hardman; and Sil Austin. d. Jan. 26, 1948, Greenville, MS, USA. John Avery Lomax was an American teacher, a pioneering musicologist and folklorist who did much for the preservation of American folk songs. He was father to Alan Lomax, also a distinguished collector of folk music. George Matthews (sometimes listed as Georges) (September 23, 1912, Dominica, British West Indies - June 28, 1982, New York City) was a jazz trombonist. Matthews's father was a guitarist; Matthews himself was adept on tuba and trumpet as well as trombone. 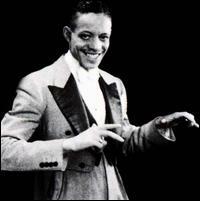 He received classical training in New York City and played with local dance and jazz bands before joining Tiny Bradshaw's group in the early 1930s. He worked later in the 1930s with Willie Bryant, Louis Armstrong, Chick Webb, and Ella Fitzgerald. After World War II Matthews worked extensively with Count Basie, then joined Erskine Hawkins's group in the early 1950s. In the 1960s he played with Lucille Dixon and Clark Terry, among others. Willard is best known because of his wife, Lillian Shedd McMurry, b. Purvis, MS, USA, who died March 18 1999, in Jackson, MS, USA. 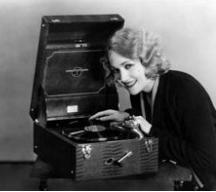 (heart attack) While cleaning out one of her husband's stores, she found a stack of Blues records, and was so taken by them that she eventually signed some bluesmen (including Sonny Boy Williamson) and formed her own recording company, Trumpet Records. Wooden Joe Nicholas (September 23, 1883 – November 17, 1957) was an American jazz trumpeter and cornetist, active on the early New Orleans jazz scene. He was born in New Orleans. Nicholas began playing professionally on clarinet, and continued occasionally doubling on it in later years after he had mostly switched to cornet. Nicholas knew Buddy Bolden and said Bolden was the main influence on his cornet style, but did not begin playing cornet until he 1915 when he was playing clarinet with King Oliver and started playing around with Oliver's cornet while Oliver was on break. He lived nearly his entire life in New Orleans, and played in many brass bands and street ensembles in the city for decades, in addition to forming the Camelia Brass Band in 1918. He was famed for his volume and his endurance, though these are not evident on most of his recordings (a notable exception being his driving version of "Shake It and Break It", American Music Records MX 800). Nicholas did not record until 1945, when he was 62 years old, and by that time he was far past his prime. He recorded again in 1949 as a leader, in addition to playing with Raymond Burke. Nicholas died in New Orleans in November 1957. He was the uncle of clarinetist Albert Nicholas. Heitor dos Prazeres wrote classic sambas and was also considered to be one of the best primitivist painters of Brazil. He was also one of the creators of the Carioca samba school movement, founding several of them. Together with Rubem Barcelos, Alcebíades Barcelos (Bide), and Newton Bastos, he founded the first samba school ever to employ that denomination, the Escola de Samba Deixa Falar (Estácio), in 1928, and the União do Estácio in the same year. Some weeks later, he co-founded the Portela and the Estação Primeira de Mangueira. Son of a military musician, Prazeres learned the cavaquinho by himself at age seven. At 14, he was a regular in the rodas de choro (choro get-togethers) and in the seminal samba redoubt, the Tia Ciata's house, being consecrated as a master of the instrument. Later he would add the banjo to his bag of skills. His first compositions are also from 1912: "Ô Limoeiro, Limão" and "Adeus, Oculó." In 1927, he won a samba contest promoted by a Carioca newspaper with "A Tristeza Me Persegue" (released many years after in the Fermata 1970 LP Portela, Passado de Glória). In the same year, Francisco Alves recorded "Ora Vejam Só" and "Cassino Maxixe" (the first version of "Gosto Que Me Enrosco"). The songs had the authorship attributed to Sinhô, which yielded a dispute between the two composers, as Heitor claimed the songs to be his, only with minor changes by Sinhô. In that occasion, Sinhô delivered his famous statement, that "sambas are like birds, they are owned by the ones who take them." The affair also yielded two sambas, "Segura O Boi" (Sinhô) and "Olha Ele, Cuidado" (Heitor dos Prazeres). In 1929, a new clash with Sinhô: Mário Reis recorded "Gosto Que Me Enrosco" in its definitive version and title, again with authorship by Sinhô. Heitor then wrote the "Rei Dos Meus Sambas" in retaliation. "Deixaste Meu Lar" (with only Francisco Alves's name in the record) followed, recorded by Mário Reis and re-recorded by Alves in 1930. Then came the masterpiece "Mulher de Malandro" (which won the first official Carnival contest in 1932, with Francisco Alves's recording). Among his many compositions, "Estás Farta de Falar da Minha Vida," "Canção do Jornaleiro," "Pierrô Apaixonado" (with Noel Rosa, recorded with great success by Joel e Gaúcho in 1936, through Victor), "Lá em Mangueira" (with Herivelto Martins, recorded by the Trio de Ouro in 1943), and "Sou Eu Quem Dou As Ordens" deserve mention. But Prazeres also was a master of painting and in 1951, he took part in São Paulo's I Bienal de Arte. He also exhibited in the 1953 and 1961 Biennials. 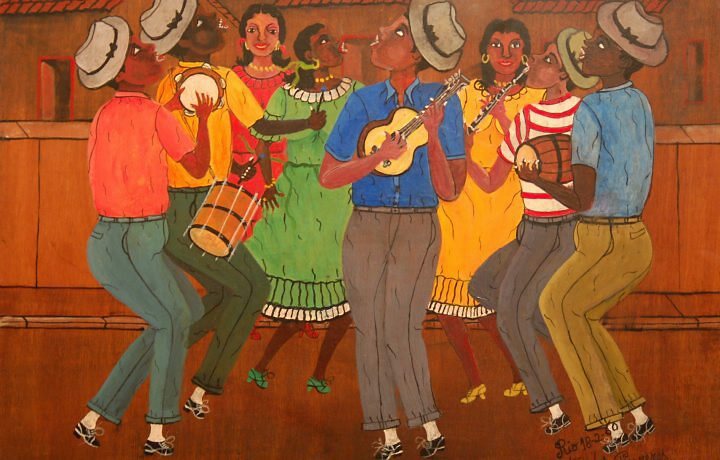 In 1966, he represented Brazil as a painter in the Black Arts Festival of Dakar, Senegal. His themes are the lives of the Carioca malandros, mulatas, and workmen. In 1931, Prazeres left the samba schools and joined Rádio Educadora, soon followed by radios Sociedade, Clube, and Philips, where he worked in the famous Programa Casé. He formed a female choir to accompany him and performed under the denomination Heitor e Sua Gente. In 1933, his "Canção do Jornaleiro" was recorded with great success by the boy Jonas Tinoco. As a regular member of the cast of the Rádio Nacional, he was a percussion player. In 1941, he participated in the seminal radio program A Voz do Morro, at the Rádio Cruzeiro do Sul, with Cartola and Paulo da Portela. In the following year, as Grupo Carioca, the three of them performed in São Paulo. Heitor dos Prazeres left more than 129 recorded songs. died in Springfield, OH, USA.